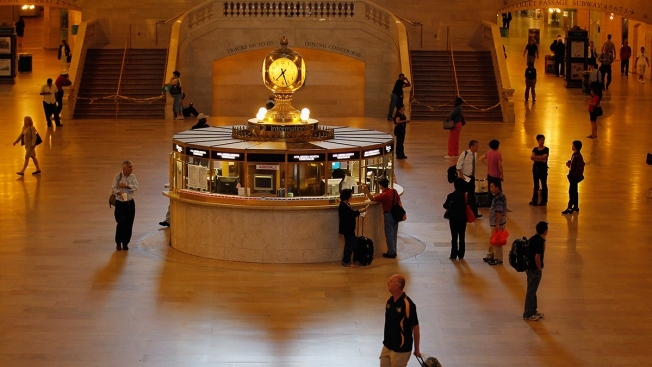 The MTA is courting high-end restaurants to set up shop at Grand Central Terminal in an effort to make the famed station more upscale and more profitable. The MTA will begin issuing requests for proposals (RFPs) for existing retail spaces before the end of the year, and the upgrades will take place through 2018 and beyond, The New York Post first reported. Bringing in upscale tenants will boost rental income by 7 percent this year, compared with a 4.5 percent and 1.1 percent year-over-year rise in 2016 and 2015, respectively, the MTA told the Post. But that means that longtime eateries based at Grand Central since its last makeover 20 years ago are now leaving, including Brooklyn-based Junior's, Two Boots Pizza and Grand Harvest Wines, as well as grab-and-go restaurants Irving Farm and Dishes. Lauren Scala heads to New York City's latest permanent food market "The Pennsy" next to Madison Square Garden and Penn Station. Among the new, more luxe businesses moving in are Tartinery and Art Bird & Whiskey Bar. Art Bird, Oprah Winfrey's former chef, will be paying $4.1 million in rent over the next 10 years to set up his eponymous shop at the concourse. MTA spokesman Aaron Donovan notes there has been a "sea change" at Grand Central in recent years when it comes to food and drink offerings, and that Grand Central has been welcoming star chefs and restaurateurs. "On the MTA's part, we look at the bottom line but also work to curate the kinds of local, diversified dining experiences that fit the needs of the millions of diners, shoppers, commuters and tourists who come through Grand Central every year," he said. Commuters at Penn Station are wondering where the slew of longstanding fast-food chain restaurants there have gone. Checkey Beckford reports. Donovan says that as current leases expire, the Terminal is required to open up the RFP process. "As restaurants and bar owners have seen that the Terminal provides the traffic and numbers they are looking for, more restaurant and bar owners have sought to place themselves in the iconic building," said Donovan.